Once installed it is of the utmost importance that you protect your investment with periodic maintenance, and we here at Vance Heating & Air will be happy to help you choose a plan to match both your needs and budget. Maintaining your equipment's efficiency will save you money in the long run by eliminating your need for emergency service calls and by keeping your system running smoothly. A system operating at peak efficiency will keep your energy costs down and your home comfy cozy. Our trained staff arrives at your home on time and is prepared to help you. 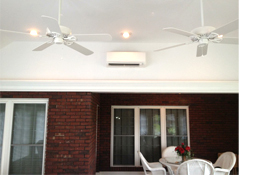 We have a dedicated residential service staff that not only services our ductless systems, but also installs them. This allows our staff to focus 100% on a single solution and be experts on the entire process. We also fully support the Mitsubishi Diamond Contractor network by routinely sending our personnel for training. The Mitsubishi Diamond Contractor network allows you, the consumer, to have confidence in the fact that Vance Heating & Air has gone through hundreds of hours of training and testing. Vance Heating & Air offers the Exclusive 12-Year Diamond Contractor Warranty! 2019 Copyright Jamie Vance HVAC, llc. All rights reserved.